A Tesla Treasure -Lost In Toledo? 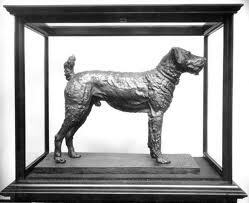 Did W oodward High School in Toledo once have a real scientific treasure, and if so, where is it? 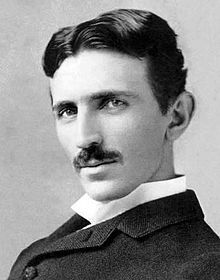 For those of you familiar with the famed inventor Nikola Tesla, you already know that this Serbian-American genius was considered by many to be one of the greatest inventors and most brilliant minds of 20th century physics. His legendary innovations include everything from alternating current, the radio, the induction motor, the neon light bulb and many others. What you may not have known, according to a 1937 Toledo News Bee article, is that Woodward High School in Toledo was reportedly in possession of one of Nikola Tesla’s original Tesla coils that he used in his controversial laboratory in Colorado Springs, Colorado around 1900. 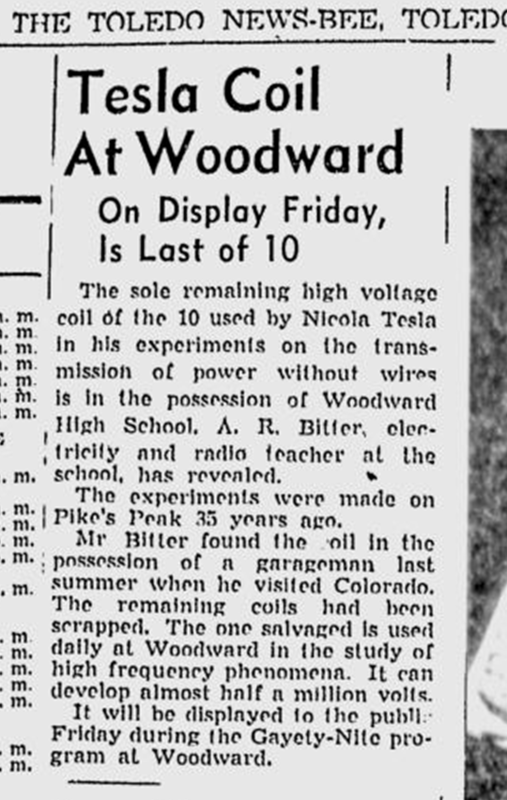 The article from April 20th, of 1937, reports that a Woodward High School electric and radio teacher, Alpheus Bitter, had acquired one of the ten original Tesla coils from Colorado from a “garageman” who was selling them. 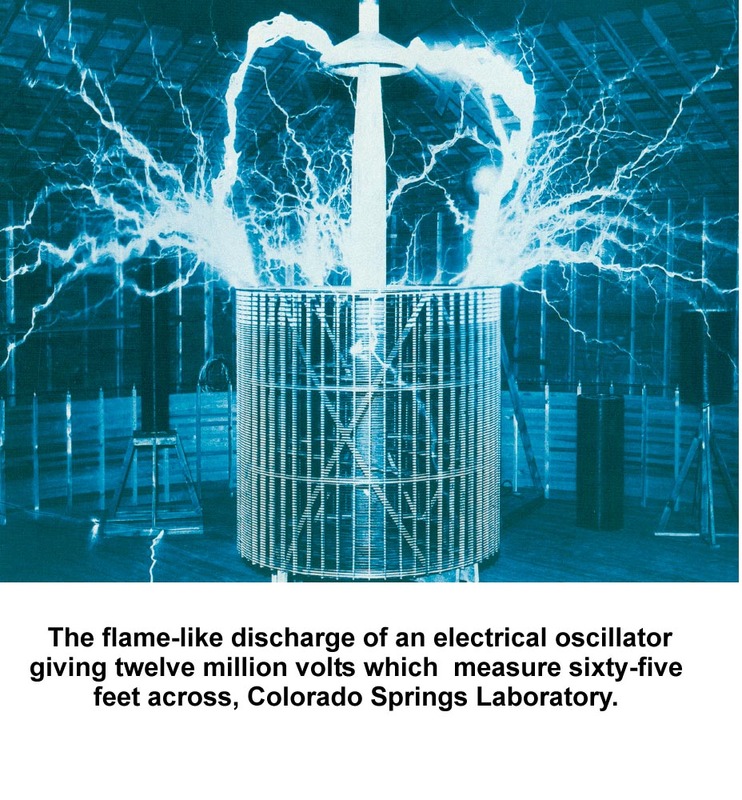 The high elevation city of Colorado Springs, at the foot of Pike’s Peak, is where Tesla spent a number of years in a laboratory, (now the site of the city’s Memorial Park), developing a system to transmit electricity without the use of wires. It was Tesla’s quest. His long held belief that electric current at high voltages could be transmitted through the air and distributed without the cost of building wired networks. It sounds wacky, but Tesla was not to be taken lightly, he was after all, the man who invented, and is credited with, the development of alternating current and the hydro-electric station at Niagara Falls, New York. He was eccentric yes, but whether he had lost touch with reality with some of his ideas, is still up for debate. Historical records, for example, show that it was Nikola Tesla, and not Guglielmo Marconi who actually invented the radio, even though the latter is usually credited with fathering that major communication breakthrough. The coil became the working symbol of Tesla’s concept and his name has been indelibly coupled with the device. 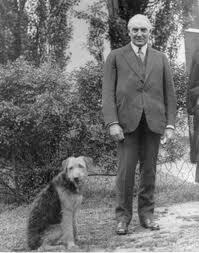 By the 1930’s, however, Tesla’s famed laboratory in Colorado has been taken down and Tesla had long since moved away back to New York to continue his experiments there. 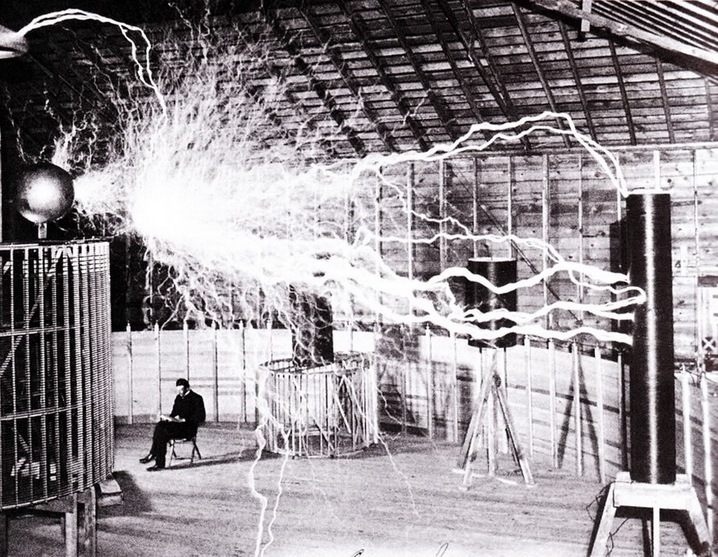 It was in the 1930’s that Toledo, Ohio teacher, Alpheus Bitter, is reported to have purchased one of the last remaining original coils from the Tesla lab that could generate up to a half million volts. 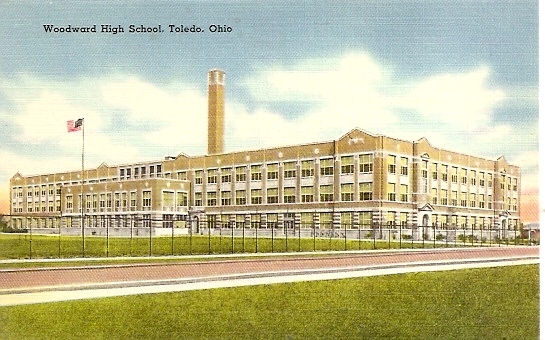 Bitter, according to the article in the News Bee, brought it to Toledo for use in his electricity and radio classes at Woodward High School. And this particular news clippings says it was being displayed to the public for a special demonstration. If the Toledo News Bee article is accurate, and Woodward High School did hold in its grasp one of the greatest science artifacts of the 20th century, where is it? I asked a Toledo Public School spokeswoman who says she was not aware of it, but would look into it and see if she could answer just where the large coil may have ended up. “It would be a find, indeed,” says Ottawa County antique dealer, and electronic hobbyist, Ernie Scarano, who owns Mantiques, a specialty antique store in Elmore. The centerpiece of his store, which features antiques for more masculine taste, is a working Tesla coil that he built himself. Ernie says that to his knowledge, no one in the world has an actual Tesla-made Tesla coil. There are thousands of Tesla coil winders around the world who are tinkerers and hobbyists, but he is not aware of anyone who actually owns a “real” Tesla coil. He thinks its value would be in the hundreds of thousands of dollars. “Lots of people around the world would want this, museums would want it.” But, once again, the question arises. Where is it? Did it get sold or salvaged, or stolen? Or it is gathering cobwebs in a forgotten closet. Sadly, we may never find the answer to this mystery, as the historic Woodward High School building was taken down by wrecking crews a few years ago and the answer may have been buried deep in the rubble and carted off for salvage or junk. 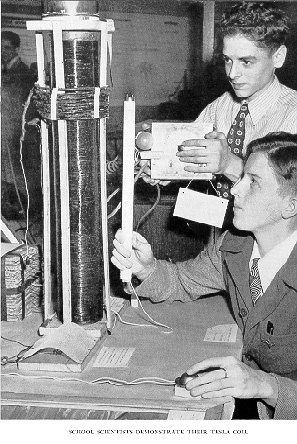 As for the teacher who bought the Tesla Coil in Colorado and took it to Woodward High School, I have learned that Alpheus Bitter was not just a hobbyist-teacher who liked to tinker, but that he too was a brilliant engineer of electronic communication and had the credentials to prove it. In his 1992 obituary in the Toledo Blade, It is written that Bitter taught at Woodward High School until 1945 and influenced many young men to enter the field of electrical engineering. And that he was also responsible for helping put many Toledo TV and radio stations on the air, including WOHO, WTOD, WTOL, WSPD and WGTE-TV. Alpheus Bitter’s resume also included a long time stint as a consultant for Willys Motors in Toledo, in the 1940’s and 50’s, in their attempts to build television equipment, and designed the electronic glass cutting process for Owens-Illinois. 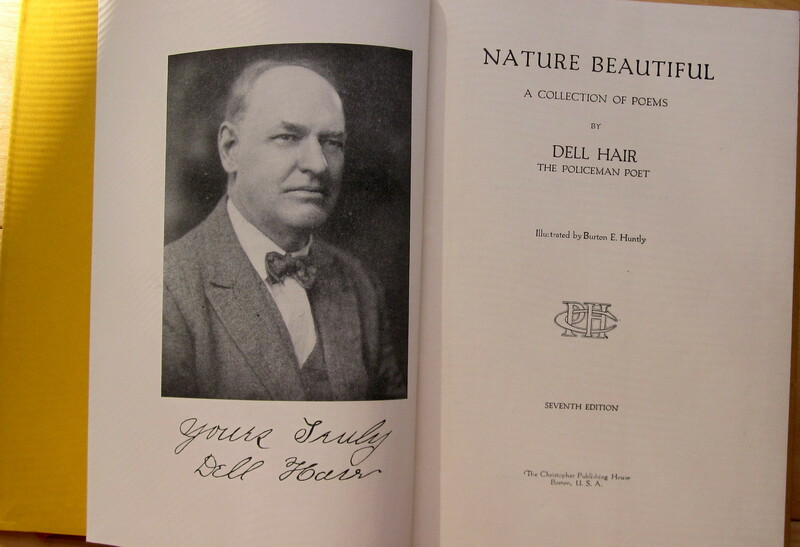 In his later years, he lectured on electronics at the University of Toledo. Alpheus Bitter was 88 years old when he passed away from cancer at the Golden Haven Nursing home in 1992. he was well known and well respoected, but there was no mention in his obituary of the novel Tesla coil or what may have happened to it. He surely knew its value and perhaps he sold it to someone else who understood that this was, in the science world, as precious as a piece of art from one of the masters. Mr. Bitter may have taken the knowledge of its whereabouts to his grave. 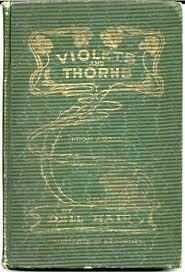 We can only hope that someone, somewhere is still holding Mr. Tesla’s holy grail in safekeeping, maybe here in Toledo. In the course of researching and writing about local history, you discover very quickly that you are not alone. There is in fact a growing fraternity of like-minded souls who also spend their days and hours immersed in the pages of time, looking for undiscovered and forgotten truths about our past. For some of those spelunkers of local history, the searches are personal. Such is the case of Doug Tracy, of Columbus, who, since retirement a few years ago, started tracing his roots and found himself being led back to the streets of Toledo where many of his family members led notable lives of public service. Some of those stories are a part of Toledo’s historical landscape. It has become part of Doug’s purpose in life to share those stories with others and I am pleased that the Toledo Gazette can offer itself as a venue for that purpose. I know you’ll enjoy them. The following story is the story of Toledo Fireman James Fraser, written by Doug Tracy, his great-great grand nephew. Toledo’s Promenade Park lies quietly along the riverfront where Water Street meets Madison, providing no indication whatsoever of the tragic events that took place at that very site in early January of 1894. Beneath the concrete and sod, unbek nownst to the passers-by who visit the park, lie the remains of the ‘brave and fearless’ Toledo firefighter Captain James Fraser, who valiantly died battling the King-Quale grain elevator fire, the largest fire in Toledo’s history – a fire that very nearly destroyed all of downtown Toledo that cold winter night. You will not find a marker or a plaque at the site where the massive grain elevators and other offices once stood, but Captain Fraser is still there somewhere beneath the grassy fields of the park. Despite an intensive search of the ashes and still-smoldering rubble in the days following the fire, Captain Fraser’s remains were never found. 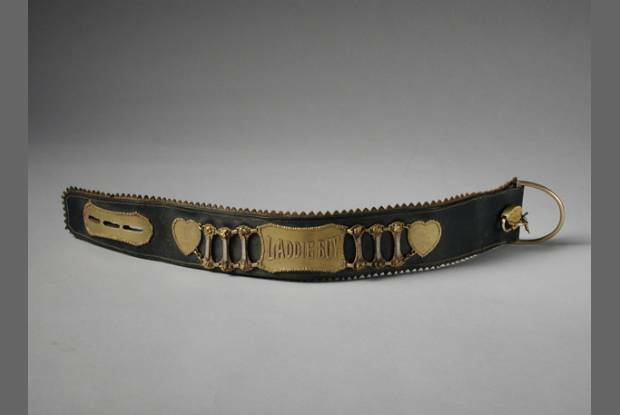 Only Captain Fraser’s brass suspender buckle, a pair of his glasses and a partially melted brass fire hose nozzle were found, grim testament to the intense heat of the inferno. 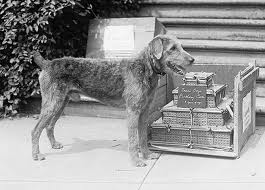 At the age of 12, ‘Captain Jim’, as Fraser was known to his firefighting brothers, came to America from Fermoy, Cork County, Ireland, with his 11 siblings, mother and father. The Fraser’s sailed from Liverpool, England, during the height of the horrific Irish Famine, arriving in New York City in 1849. Within a year, the entire Fraser family had found their way to Toledo and set up shop as shoemakers, the family trade. In 1864, young Captain Jim enlisted in the 130th Ohio Volunteer Infantry and found himself guarding Confederate prisoners at Johnson’s Island, followed by duty at Bermuda Hundred, Virginia, in support of the siege of Petersburg. 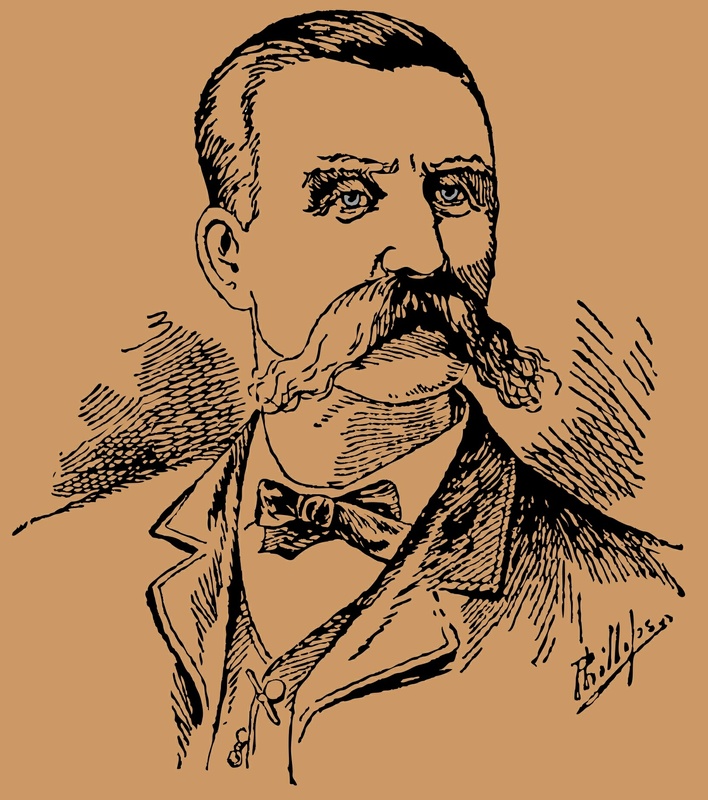 Following his discharge from the Union Army, Captain Jim worked 8 years as a sailor on Great Lakes ships before being hired as a Toledo fireman in 1872. 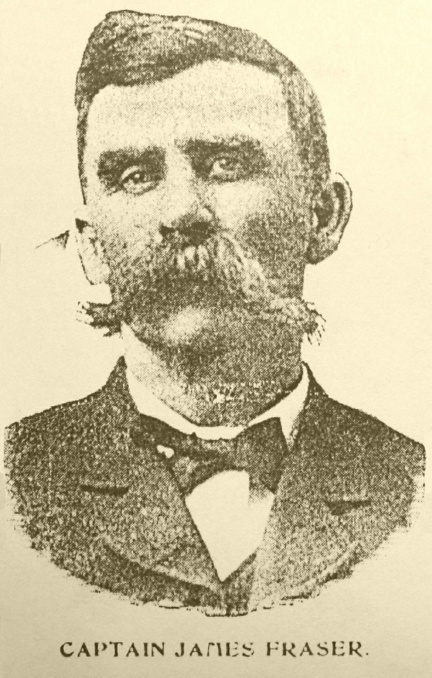 He rose through the ranks of the Toledo Fire Department and was appointed Captain of Engine House #1 just weeks before the King-Quale Elevator fire erupted the evening of January 3, 1894. The first fire alarm came just before 6:00 p.m., when a grain elevator worker noticed smoke and flames at the top of one of the tall wooden structures. Within minutes, a series of 3 massive grain-dust explosions created an immense blaze. Captain Jim and his crew were among the early responders to a rapidly growing fire that was already out of control by the time they arrived. Captain Jim and his partner, Alfred Blaine, entered the King Elevator with their dry fire hose, planning to work their way to the top of the building, signal firefighters below to turn on the water and pour a stream of water downward. They managed to reach the 3rd floor, but were immediately knocked to the floorboards by a fiery explosion that occurred just as they broke through a door. A stunned Alfred Blaine yelled in the dark to Captain Jim to “follow the hose” to safety, but never heard another word from Captain Jim. Blaine somehow managed to reach the stairway and stumbled down a flight, landing near a window. Dazed and badly injured, he lunged toward the light of the window, only able to summon enough strength to partially break through the glass, severely cutting himself in the process. 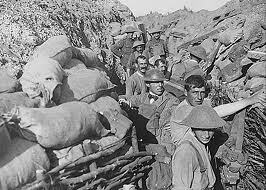 His comrades below saw him hanging out of the window, bleeding profusely, and carried him to safety. Captain Fraser was not so fortunate. He was never seen again. Throughout the rest of the night, a wind-driven shower of sparks and embers ignited building after building in its path in a seemingly unstoppable advance from the waterfront toward the heart of the business district. First the King elevator, then the Quale elevator, followed by the Chamber of Commerce building, Wonderland Amusement Center and scores of smaller storefronts, were all consumed by the conflagration. The firefighters were powerless to stop the onslaught and late in the night had given up all hope of saving the rest of Toledo’s thriving downtown. But in the wee hours of the morning, a miraculous 180-degree wind shift took place, allowing the exhausted firefighters to bring the fiery beast to its knees. After his death, Captain Jim’s legacy of service and devotion was carried on by subsequent generations. One nephew, George W. Fraser, became Chief of the Toledo Fire Department in 1914, and another nephew, Lewis B. Tracy, was a career policeman and Captain of Detectives with the Toledo Police Department during the early 1900’s.